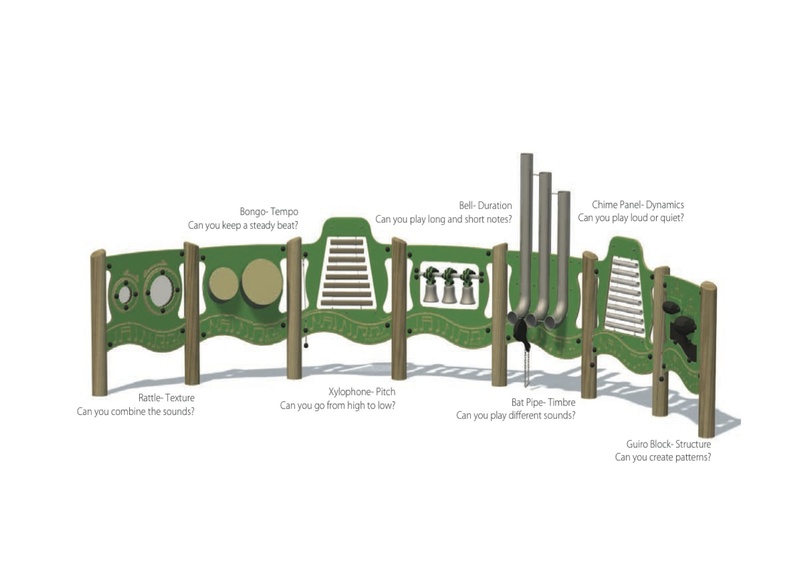 There’s only one playground area left to develop, as we wait to hear whether the school will be going ahead with any major maintenance or development projects in the near future (repairing the dodgy drains, for example, would mean digging up part of the playground). 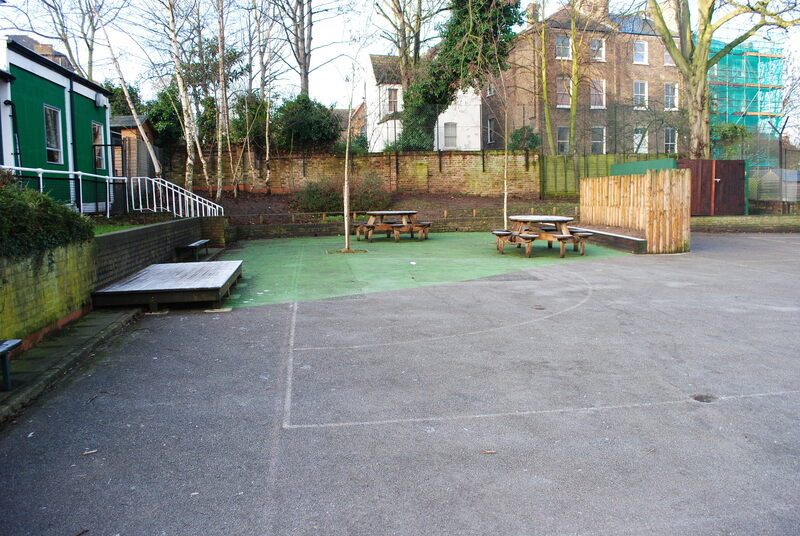 Once that’s clear, we’ll be working on grant and funding applications to improved the back of the Juniors’ playground. There’s plenty of potential in that grassy (muddy) bank, and the kids are hoping for an interactive musical trail that will run along the retaining wall opposite the multi-sports area. We’d like to introduce this alongside that wall on the left.